Photographer Taylor Branson is trying to make a life for herself in New York. Leaving her hometown of Heart’s Bend, Tennessee, she put a lot of things behind her, including her family’s abysmal marriage rate. One of the trends that I have noticed in some fiction is to have characters that are married or mature as the main characters. I am loving this! I am not sure if that is my age showing, but it is wonderful to have characters that we can relate to. Ms. Hauck weaves a tale of the past mingled with the future. When the past and the future meet, the lessons they all learn are ones that will touch you in your walk with the Lord. 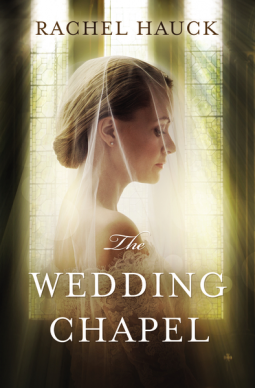 The Wedding Chapel is a wonderful story, wrought with secrets and imperfect characters, but pure by the redemption of the One who saves us. We use many different types of tools in this life. Wrenches, screwdrivers, drills, kitchen knives, sewing machines, cars, tractors, shovels, even books can be thought of as a tool. I want to speak of a different tool. Throughout history, each new invention was met with trepidation by the people of the earth. The car was not accepted, the telephone, or the internet. “New-fangled ideas” as they were referred to, were often shunned by some Christian groups and still are to this day. The Amish ride in cars and use telephones, but have many rules about how and when. Some conservative Mennonites refuse to conduct business online as it violates their beliefs, yet will use the telephone and mail without any hinderances. I would like to talk about a different tool. This tool can be used for good or evil. Just as the phone can be used for good or for evil or a hammer, this one is no different. This tool is Facebook. It is a method of networking and communication. If you have friends that are not the best in real life, it is highly probable, your friends on Facebook will likely not all be the best as well. It is supposed to be a glimpse of a picture inside a person’s life. It can show their likes, dislikes, what pages they enjoy and where they like to eat. While we grimace and talk about “Big Brother Watching”, we also have to admit that it often can make life easier. The fact remains that Facebook can be a valuable tool. It can be harmful in the wrong hands, but for the most part it is a valuable tool. When someone is harmed by a hammer, we do not blame the hammer. We blame the person wielding the hammer. But when someone has an affair, we blame Facebook. Obviously, connecting with others in our past opens us up to temptation and sin. We should avoid communicating with those in our past or we may be tempted to have an affair, (said tongue in cheek). The facts are simple. Facebook doesn’t cause anyone to have affairs anymore than the hammer caused the man to hit another man on the head with it. It is simply a tool in the hands of users. I was witness to the overall amazing way Facebook can minister to others last week. I saw how through mutual acquaintances, people connected and bonded. Many people only saw inspiring posts my friend shared on her wall, funny things her sister did and interesting posts she shared. Her life was laid out on the table for all to see, but most had seen beyond what was on her Facebook wall. Her heart was one for all to see. Facebook was simply the tool used to leave it as a display for others. Her life was one of ministry, worship and humor. Above all, she had a love for others and for God. She was not perfect, and had her quirks, but you knew that she was a light. How does your life show through on your Facebook wall? Are you using the tool for showing a glimpse of your life to the world in the way you should? Are you rejecting communicating with others for fear of what is there? When the Christmas season finds Eden in Summer Harbor, Maine, she’s on the run from trouble. Romance is the last thing on her mind. Riding in a bus in the thickly falling snow, Eden Davis wonders how it ever came to this—fleeing under cover of night with young Micah sleeping fitfully in the seat beside her. When a winter storm strands them in Summer Harbor, Maine, Eden wonders if what might have been the end could be a new beginning. Beau Callahan is a habitual problem-solver. He’s recently left his job with the sheriff’s department to take over the family Christmas tree farm to save it from insolvency. But he’s flummoxed. During the busiest season of the year, he’s shorthanded. Then Eden shows up looking for work, and Beau believes he’s been rescued. Competent, smart, and beautiful, Eden’s also guarded and quiet. He soon figures out she comes with a boatload of secrets. But Beau can’t seem to help himself from falling for her. 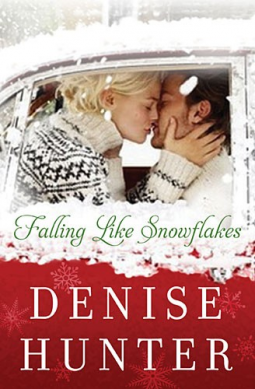 As Christmas Eve approaches, Beau discovers he’ll do anything to keep Eden safe. But who’s going to protect his heart from a woman who can’t seem to trust again? I think Denise Hunter is just getting better and better with every book. This story is one of a bit of suspense and intrigue, but with deep truths about a mother’s love and protection of her child. I loved how it did not shy away from the truth of forgiveness, but at the same time, acknowledged the real life that you have to separate from dangerous people. The lack of communication is throughout this story, which is considerably like real life. It frustrates you, yet you long to see the resolution. I will be looking for and purchasing each one of the books in this series. This book was provided by NetGalley and publisher for review. The opinions contained herein are my own. This is a highly unusual book and story. Our heroine is very young when the story begins and while this book is fiction, a tale is told that rivals non-fiction stories of survivors that I have read from this time period. It is not graphic, but detailed without as much of the horror. You see the story though the eyes of a child in the beginning. In the middle, a young woman and in the end, a woman. While there is a romantic story line that completes this book, that is not the focus of the story. 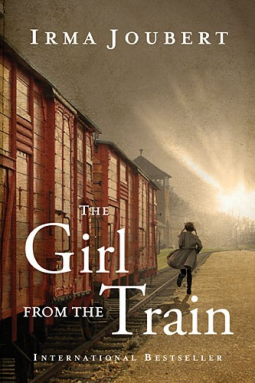 This is a wonderful book, about the means of survival that many refugees, Holocaust survivors, orphans and others experienced during WW2 and even today. I enjoyed the unique voice the author gave to Gretl as well as to Jakob. It was highly unusual and deep writing. If you enjoy a book that will make you think and dig into history, pick this one up! I have amazing brothers and sisters. I don’t know what I would do without them. There are not words enough to describe how much I was blessed with the cream of the crop when it came to siblings. But God sometimes gives you friends that are like a sibling. A little over 18 years ago, I met such a friend. She was about 10 years old, and not the age you would think when looking for a friend. Her mother is this beautiful person, who took a young mother under her wing and encouraged me through the early years of parenting. Her young daughter came alongside me, and cheered me on so to speak. 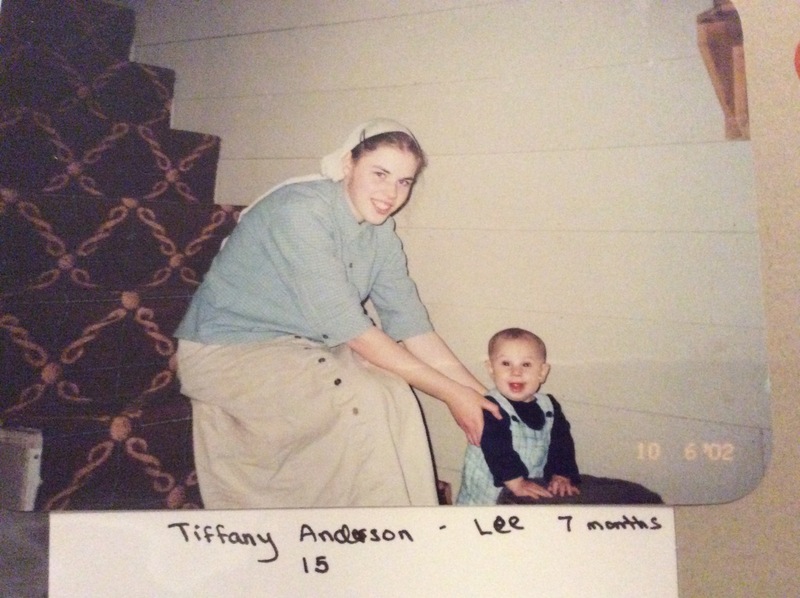 Tiffany Anderson was smart, funny, and spunky. We could be honest with one another, but sometimes it took work when she was younger to pull out what she was thinking. As she got older, this got easier for her, especially with texting and FB messages. But when we lived together, she would be the one to come and rock the babies, wash my dishes, and help me clean out my nasty “fridge”. (A hole in the floor, moist to keep cool, but a habitat for fungi. I am not sure who thought that was the best idea.) 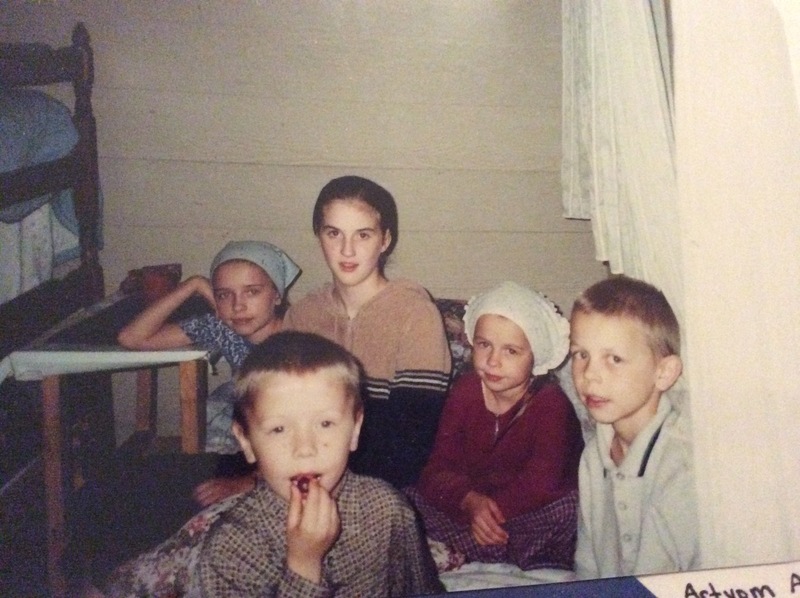 Life was not always easy for us. When my husband would go on a work hunting expedition, or to visit his parents, Tiffany would come and stay overnight with me. It became our tradition, she would “take care of me”. Fred had gotten a job working nights, and so Tiffany came to stay the night. In the morning, the baby, H. started crying and needed changing. I did not want to wake up Fred, so I hurried down the stairs a bit too fast. I fell, breaking a bone in my foot. Tiffany woke up and came to my rescue and went to fetch a wet cloth to ease the pain and swelling. I will never forget because she ran back into the house like her hair was on fire, a dripping rag leaving a trail behind her. She had seen some of the other men of the community coming down the boardwalk and realized suddenly that she was in her nightgown! 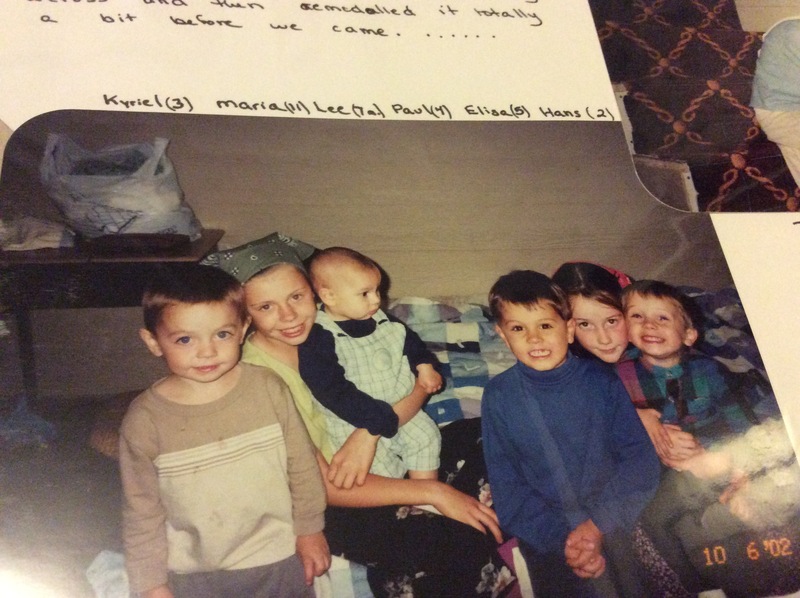 Some of the other children and cousins in the community. 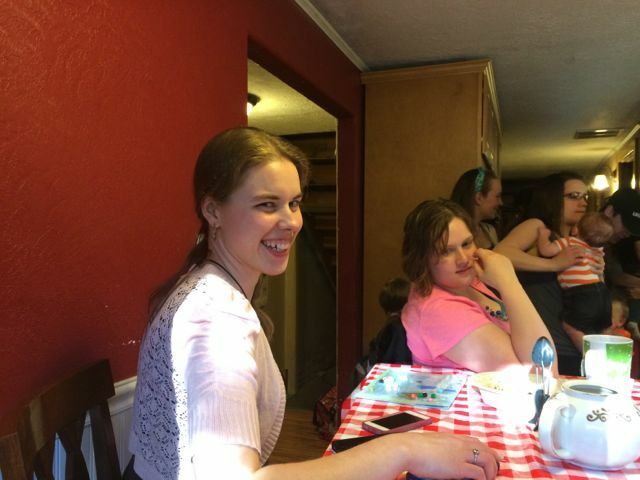 After we moved away, our visits were limited, but Tiffany still managed to minister to us from afar. I was reminded of this by this picture of P.’s my oldest 5th birthday. 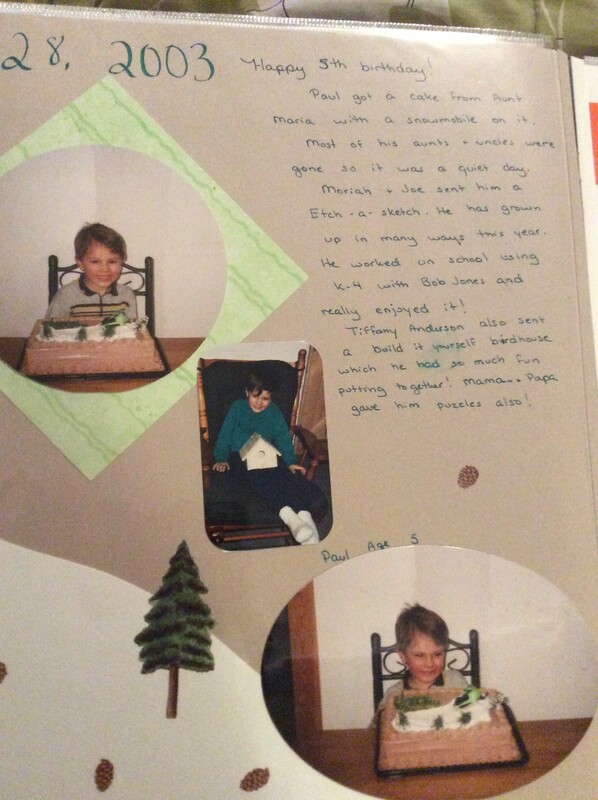 His aunts and uncles were away, but sent gifts, including one from Tiffany, a little build it yourself birdhouse. He loved that thing! It might be hard to read, but it says about how Tiffany sent the birdhouse. It was the little things that meant so much. 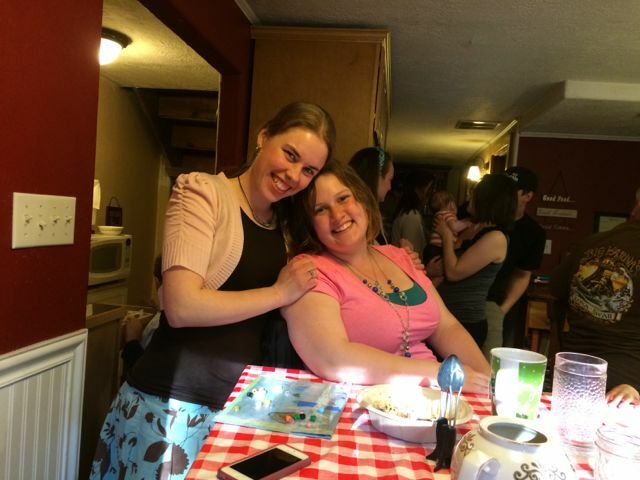 This year, we got to talk a lot more with the advent of FB in her life! It was so much fun. I got this message back in July from her and to me, it just spoke of how she was just the best friend and encourager. “Have to get ready for work, but just wanted to stop and tell you that you are a beautiful, loving, godly woman, an amazing mother, and a faithful, trustworthy wife. Like in Proverbs 31. And… a wonderful friend!!! I love you, Martha! It makes me cry to read that, but as I go through my house and see the little things she sent me, the picture of her smiling face on my corner shelf or the cute purse she gave me recently, I choke up. But it is the words she gave me, encouraging me to go throughout my day and give it my best. I see her love for my boys throughout the years and the joy that she brought to my life will never be forgotten. I loved seeing what she was doing with her life. I so enjoyed hearing how much she loved her parents, her little sisters and how she missed her big sister that lived far away. I am so going to miss hearing her voice, seeing her words, and knowing that I can’t tell you about the cute shoes I found, or the new haircut I got. Tiffany, thanks for being my friend. Thank you for loving me even though you knew me better than many do. Thank you for teaching me about what love is. I am really going to miss you, little sister. As the host of her own television news show, Faith Marin works to expose the truth for her viewers. But in her personal life, she’s anchored her world with firm boundaries in order to hide a family history she’d like to forget. Her pro bass fisherman husband Geary’s life is an open book, and unfortunately his busybody family doesn’t know the meaning of boundaries. Deception and crippling differences soon derail their tender relationship, leading Faith to believe her only option is to end the marriage. But while Faith considers whether divorce is the only answer to their issues, tragedy strikes and her heartrending decision is interrupted. With her life in the balance, Faith finds that the one she has been shutting out may be the very one she cannot bear to lose. 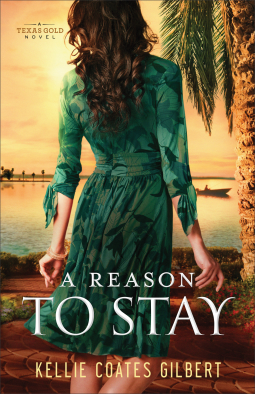 Kellie Coates Gilbert takes readers on an emotional roller coaster as she weaves themes of unexpected trial, self-discovery, and forgiveness in this profoundly honest portrait of the tensions that can break a marriage–and the ultimate healing power of love. This book was solidly written. However, the twists of going back and forth between past and present was slightly irritating. I would have liked a bit less of the back and forth. The story was good, but I felt her husband, while demonstrated as this amazing guy, was… well, I don’t want to spoil it for you. I felt like that it demonstrated well, the conflict between husband’s and wives that happen, even when they love each other very much. It would be a good one to read with older teens that are considering marriage and discuss communication, in law relationships and issues that could have been prevented before the marriage and after the fact. This book also discussed a traumatic brain injury and the issues that can cause long term as well as adoption. I enjoyed it! 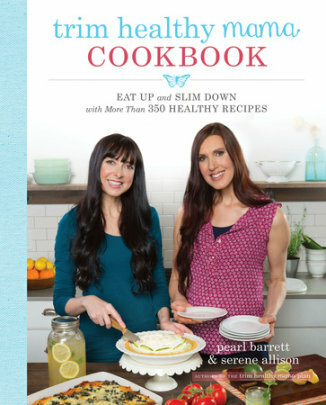 This book was provided for me for review by the publisher and NetGalley. The opinions contained herein are my own. Entitlement…an issue with many faces. Entitlement is a huge issue in our day. I think it has always been an issue, but has come to the forefront a lot more lately. Recently, a discussion came up when a site that offered free downloadable charts for many years, decided to charge a membership. The woman has a vast amount of resources which she wrote, put together and offered for free. I always wondered how she could do it for free. However, when she began to change a reasonable fee for access, many commented that it was unfair. They have always been free, she should still offer them for free. How dare she do it without warning…etc. We move on to the medical system. I am a doula. My services are not free, but they are very reasonably priced. However, for many that feel they want that fancy stroller system, extra nice car seat, and the hospital is covered by government insurance, why should they work to pay for a service? They have to be convinced of the value before realizing they want it. Often, sadly, this is their second baby when they realize they should have paid for it for the first. The complications, trauma and others that often happen without education and support are skyrocketing. Yet, we feel we deserve to have the best care, for free. This past week, I had to deal with a local office on issues of property management. I realized after one week of getting a run around, lack of good info, and poor communication on their part that I had to address it. Shaking and nervous, I did. The woman was defensive, blamed me and the client, and refused to apologize or take any effort to even admit there was an issue. She felt entitled to her opinion. She was the agency with the power, or so she believed. It is hard to have to deal with entitled entities as well. One though, that I often don’t hear spoken about as much, comes to gift receiving. I am sure by now, we have all been to weddings where the invite dictated, “Only cash or gift cards” with no viable reason for that, except that the receivers are particular and wish to do their own shopping perhaps. I will admit, those people receive paltry gifts from me. I feel that it is really crude and unseemly to dictate that. We also have parents that I often see complain that relatives do not follow the list of prescribed gifts, or give too many gifts, or the like. I think one thing people often forget, is it is a gift. It has nothing to do with the receiver. We, however, have chosen to believe that we can dictate. In this day and age of gift registries, (which should simply be suggestions or ideas), gift cards, and the like. We believe we have a right to dictate others actions. We feel entitled to the only things we allow. We do have the right to reject a gift. Return it, trash it, give it away. The local thrift store would love brand new toys. Toys for Tots, or other needy families. It should however, be a bigger lesson we can learn. Gratefulness. Thankfulness. Our lives will hold more meaning if we stop trying to be entitled to dictate the actions of others, expect others to work for us for free, (but not do the same in return), or find peace in accepting what is given to us, even when we don’t want it. Lady Miranda Hawthorne acts every inch the lady, but inside she longs to be bold and carefree. Entering her fourth Season and approaching spinsterhood in the eyes of society, she pours her innermost feelings out not in a diary but in letters to her brother’s old school friend, a duke–with no intention of ever sending these private thoughts to a man she’s heard stories about but never met. Meanwhile, she also finds herself intrigued by Marcus, her brother’s new valet, and although she may wish to break free of the strictures that bind her, falling in love with a servant is more of a rebellion than she planned. I enjoyed this book, even though the tale seemed familiar. I found the beginning was excellent, the middle lagged and the ending was good! Regency tends to move a little slower, with prim and proper ladies. This book had the less than proper lady that was always getting entangled into some sort of trouble. The touches on seriousness, rejection and finding contentment without what you think you really want were all very good! 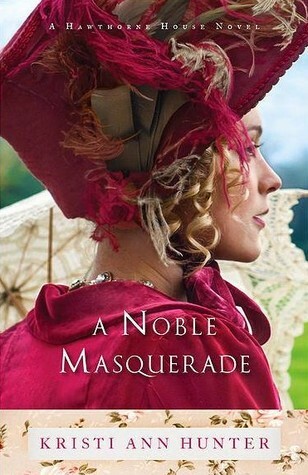 If you like regency fiction, this is a light, easy read you will enjoy. This book was given to me for review by Bethany House. The opinions contained herein are my own. 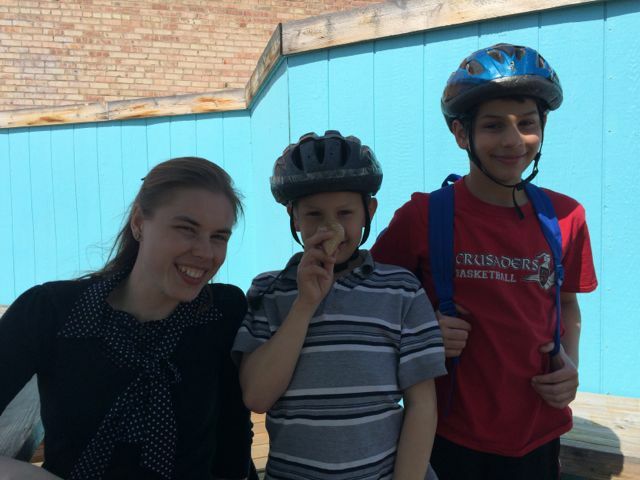 Anji Baard Moen, a recent widow, returns from Norway with her children. She quickly settles back into life in Blessing, teaching Norwegian history in the high school and writing articles for the Blessing Gazette. When tragedy strikes, Anji steps in to run the newspaper and soon finds a kindred spirit in the widower who owns the printing press. As they spend time together, Anji wonders if there’s something more than friendship growing between them. But Anji has also caught the eye of a recent arrival to Blessing. He has put his carpentry skills to good use on the town’s building projects, including Anji’s house. But Anji is torn between her feelings of loyalty to someone who needs her and the chance to build a new life with this intriguing newcomer. Where will her choice take her? 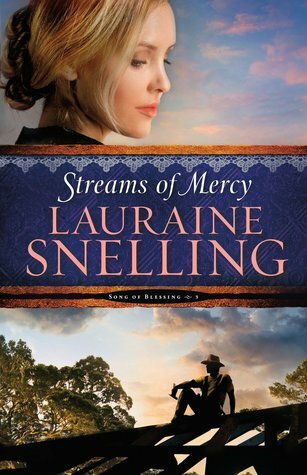 Book three in Streams of Blessing series, even though I have read all the previous books, I found myself a little confused by all the different story lines going on at once in here. I did enjoy many things about this novel! One thing that was very educational was the history of diphtheria as well as the treatment they only had begun to have at that time. The story felt like it ended on a note to make you want to read the next book, which is a good and bad thing, since the next book will not be coming out for awhile. The town of Blessing is growing and shrinking in this book, with small minor mysteries left throughout. Bethany House provided this book for review. The opinions are my own.